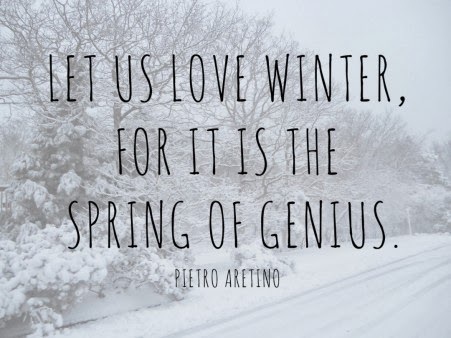 Winter Quotes i.e. searching for some funny and popular winter quotes. If yes, now you don't need to search for them anymore. As here I have compiled down some of the best winter quotes. Just hope you will like the quote compilation and share what you feel about this winter. I am ready for hoodies and cold nights. Snow flurries began to fall and they swirled around people's legs like house cats. It was magical, this snow globe world. Are ye the ghosts of fallen leaves, O flakes of snow, For which, through naked trees, the winds A-mourning go? Assumes control of fate’s immortal loom. He who marvels at the beauty of the world in summer will find equal cause for wonder and admiration in winter.... In winter the stars seem to have rekindled their fires, the moon achieves a fuller triumph, and the heavens wear a look of a more exalted simplicity.